Business description - Continental Seeds and Chemicals is engaged in the business of developing, processing, grading and supplying of all kind of agricultural foundation and certified seeds and trading of Mentha Oil. The company is engaged in the whole process of processing in varieties of seeds, foundation seed and processing of the same into certified seeds. The company currently has two units at: i) Ram Raj Road, Bazpur, Distt. Udhamsingh Nagar, Uttrakhand -262401; and ii) Village- Rahiya, Opp. Roadways work shop on Kanpur Orai Highway, Orai, Distt. Jallaun, U.P. 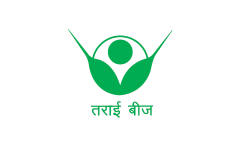 The company is registered with Uttrakhand Seeds certification agency and having total production capacity of company is 7080 MT per annum at plant situated at Ram Raj Road, Bazpur, Distt. Udhamsingh Nagar, Uttrakhand -262401 at which the company currently carries processing of seeds. The processing unit situated in Village-Rahiya, Opp. Roadways work shop on Kanpur Orai Highway, Orai, Distt. Jallaun, U.P. is currently not functional. Continental Seeds and Chemicals IPO allotment status is now available on MAS Services' website. Click on this link to get allotment status.